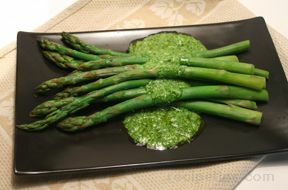 Move over boring green bean casserole, spring into the perfect asparagas casserole. It might not look pretty, but it certainly tastes delicious. Whish in flour, salt and pepper. Cook for 1 minutes. Add milk. Cook, stirring continually, until sauce thickens. 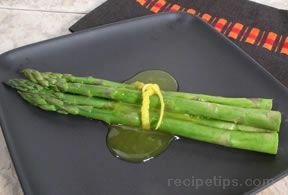 Place asparagus in 9x13 inch baking dish. Top with shredded cheese. 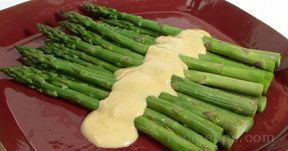 Pour thickened sauce over asparagus and cheese. 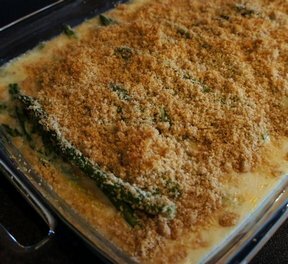 Toss breadcrumbs with melted butter and sprinkle on top of vegetable. Bake for 20-25 minutes, until breadcrumbs are golden brown. "My new favorite! It really didn't look very good because of the sauce, but the taste made up for it! It is amazing! I will be making this again for Easter dinner."